Leave a Comment on Vietnam/Cambodia. Somalia/Rwanda. Iraq/Syria? I’ve been looking for a publicist. Imagine my surprise, when in the middle of a recent chat about books, author platform, and realistic publicity goals, she asked me what people in Qatar thought about the conflict in Syria. Apparently the war has finally caught the attention of the average American. We had this conversation despite stats that Miley Cyrus has garnered 12 times more hits than the Syrian crisis. The arguments for this conflict are dismally familiar: an Arab dictator, using chemical weapons against his own people. The specter of the Iraq war looms, reminding us the childhood parable, “The Boy Who Cried Wolf” is not necessarily a story for kids. Unlike the Cold War, we are wary of arming freedom fighters today who will likely become our antagonists tomorrow. I have lived in the Middle East for the last 8 years. 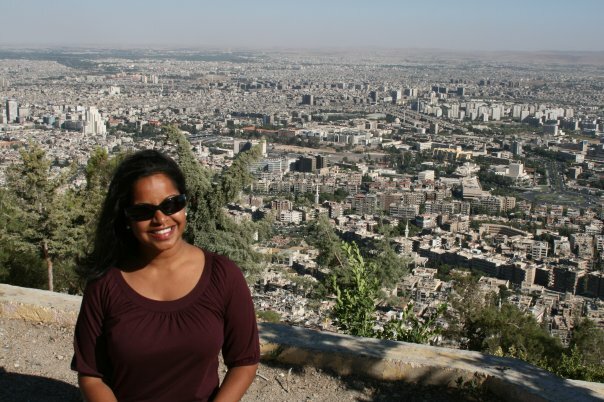 I studied Arabic in Damascus for six weeks. An amazing city, the world’s oldest continuously inhabited capital is dying along with her residents. And yet I still didn’t pass the New York Times’ quiz on Syrian News. The situation is complex; the history is contemporary. Many of us may not have been alive during the draft but we have seen the photo of the young Vietnamese napalm victim. You may not remember what the conflict in Somalia was about but you probably saw the movie Black Hawk Down. We couldn’t have pointed to Rwanda on a map but cried buckets as Don Cheadle portrayed Paul Rusesabagina in Hotel Rwanda. Perhaps that moment hasn’t come in Syrian conflict. Maybe at the height of this media age, we haven’t had the soundbite that will move us to action. The United States has a track record of being burned in conflict (Vietnam) and then staying out when the world’s largest military could be useful (Cambodia). Such flip-flopping of foreign policy makes people skeptical of America’s intentions. Maybe the world has lost its stomach for war; after all, John Kerry’s off hand suggestion that Syria turn over weapons to the U.N. has already been accepted in principle by Russia. The fact is the conflict has been building with thousands of men, women, and children dying. Perhaps now they are getting the attention they are due. Experts say we are called to action because chemical weapons are illegal. What about the other thousands who have died since the conflict started? Perhaps their photos didn’t shock the international community as much as the shrouds of all shapes and sizes a few weeks ago. Should critics of Syria intervention be reminded of Rwanda?